Searching for and buying used cars in St. Louis need not be so hard. Look no further than 5 Star Auto Plaza, one of the most reputable and friendly dealerships in the area. Sometimes, when shopping for a car, it can be even tougher to find a reputable car dealer than a reliable car. Salesmen have a tendency to make a lot of promises may sell cars in less than perfect condition just to make a quick buck. Here at 5 Star Auto Plaza. We have the best selection of new, used, and pre-owned cars, and consider ourselves the best and top-notch auto dealer in St. Louis. We will gladly work with any credit situation, and all of our cars have been well checked over by certified mechanics. With every type of make and model available, car buyers can find the car they are looking for, with low mileage and a reasonable price. Going cat shopping is never easy. Very rarely can a potential car buyer go to a dealership, find the make and model of vehicle they need, smoothly process financing, and be able to afford the car. Here at 5 Star Auto Plaza, we like our clients to be as informed as possible, so want to share some used car tips in St. Louis when buying a used or pre-owned vehicle. Here at 5 Star Auto Plaza, we want to keep our clients informed, and have put together an informal list of the top ten used cars in St. Louis. Look no further than 5 Star Auto Plaza for any and all car buying needs in the greater St. Louis area. We have the best selection of used cars for sale in St. Louis, with incredible financing offers and reputable salespeople. Here at 5 Star Auto Plaza, we have the best inventory of used trucks for sale in St. Louis and all of the surrounding areas. Between Chevy, Ford, Dodge, and even other brands like Toyota, we promise that truck buyers will find the truck that they have been looking for. One of the most popular types of vehicles in recent decades, SUVs are great for transporting items, are great for families, and more recent ones are good enough on gas mileage to be commuter cars. Here at 5 Star Auto Plaza, we offer the best service we can, in addition to the best selection, and the best financing. We have the most extensive selection of used mini-vans for sale in St. Louis and all of the surrounding areas, so that our clients have many choices. One of the most fun type of cars to drive, a convertible car is great for use in the summer, rolling down the highway or back roads with the top down. However, many people may be wary of convertibles because they have heard of problems with leaking and retracting roofs. Finding reliable transportation can sometimes be tough. Car buyers want a car that is fun to drive, but that is also great on gas mileage and a terrific commuter car. It is always a plus if it is a great family car as well. Fun to drive yet also sensible, Audi drivers fall in love with their vehicles from the moment they drive in. Driving in sporty luxury without an exhaustive price is a main benefit for many car drivers. Many clients have dreamed of owning a BMW in their lives. They can easily imagine rolling down the highway, in luxury leather and comfortability, without a care in the world. It can be really tough to go car shopping for a lot of people. Many potential car buyers have a particular make or model in mind, and they may search dealership after dealership, finally finding the car they want, only to have a bad customer service or financing experience. One of the oldest and most reliable brands still made in America, a Chevrolet is still a popular brand of car for all ages. From modern models such as the Sonic, to old classics such as the Camaro, a Chevrolet speaks American-made quality. It is never easy to go car shopping when a client needs a replacement automobile. When a person is a Dodge driver, they typically want to stay in the Dodge family. Still one of the most popular models of American cars, Dodge is still in full business today, producing models such as the Challenger, Grand Caravan, and Dart. Here at 5 Star Auto Plaza, we offer the best selection of used Ford cars for sale in St. Louis and all of the surrounding areas. Sometimes it is tough when a client is looking for a particular car, and they may spend days or even weeks searching car dealerships trying to find exactly what they’re looking for. Here at 5 Star we have everything, even the best selection of used GMC cars for sale in St. Louis. Honda drivers especially are very loyal to their brand, and why shouldn’t they be? Hondas are one of the best and most reliable cars sold in the United States, getting great mileage. An exceptional commuter or family car, it is no surprise why Honda is so popular. Here at 5 Star Auto Plaza, we want our clients to have the biggest inventory possible. We have the largest selection of used Hyundai cars for sale in St. Louis and all of the surrounding areas. There are many different types of Jeeps that a person may want, for many different reasons. A car buyer may want a newer Jeep Cherokee as a family car, or would like a standard Jeep for some off-roading and summer fun. Many car buyers are looking for pre-owned and used Kia cars because of their good ratings, and these cars are especially useful for those families on a budget. When a car buyer is looking for performance and luxury, they often choose a Lexus. Great on gas mileage but also terrific commuter and family cars, Lexus vehicles stand for quality. Many folks may want to drive a Mercedes, but may also fear that it is out of their budget. Here at 5 Star, we want to make sure that any type of vehicle is a reality for anyone, and we also have the widest selection of used Mercedes cars for sale in St. Louis and all of the surrounding areas. If a client wants a specific make or model or car, including Mitsubishi, and they do not find it here on our lot, we will do our very best to go out and bring it back for them. If a client wants a used Nissan for sale in St. Louis, and it is a specific make and model, we will do our absolute best to go our and find it for them. The Toyota Company has been producing and selling incredibly efficient, long lasting and reliable vehicles. They provide a reasonable price range for consumers for brand new vehicles; and purchasing used Toyota cars in St. Louis is even more affordable. Who doesn’t want to own or drive a Porsche? They’re an elegant classic as well as a timeless favorite that is not going to go out of style any time in the foreseeable future. However; many of us cannot afford the luxury of a brand new Porsche; as they are a rather expensive luxury vehicle. Consumers that are in search or need of reliable, used Volkswagen cars for sale in St. Louis has definitely come to the right place. 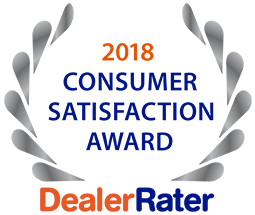 Five Star Auto Plaza has been proudly serving the greater St. Louis and St. Charles area for nearly 20 years (since 1997); and we have a great reputation for integrity, honesty and diligence within the local community.